When you purchase these pet accessories with your dog or cat house, we do all prep work on the house so you can avoid drilling holes or attaching things with screws and messing up a house that could cost you hundreds of dollars. 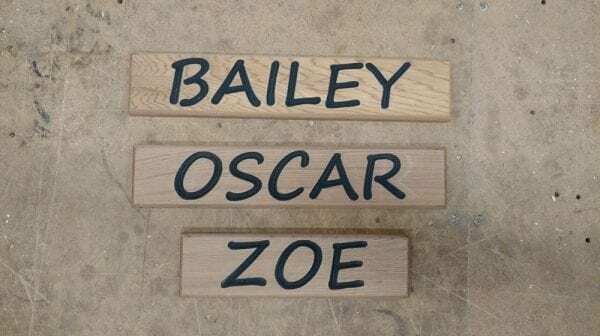 Blythe Wood Works is also proud to offer personalized cedar name plates to display on your pet’s house. The name plates are engraved with black letters – If your pet can read, a name plate is a definite must! Please keep in mind, smaller houses have less nameplate area.